Hula’s debut novel portrays the fear, violence and small acts of grace in a small coal-mining town during early union-busting efforts. In 1931 Moss Creek, a coal-mining town where men as young as 14 are expected to “go under ground or leave,” young Johnny Marko witnesses the torture of a miner by company thugs and fears for his father’s safety. With best friend Andy Strovos—an adventurous Huckleberry Finn to Johnny’s cerebral Tom Sawyer—he observes adults’ behavior, although he’s not yet old enough to understand the brutality and desperation shadowing his idyllic childhood. 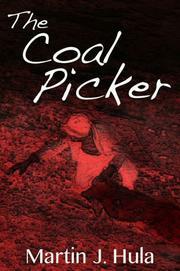 When Johnny’s father dies in a suspicious mining accident, the boy suspects Ray Kruger, the company’s “bitter” and “shameless” supervisor, to be the man responsible. Given a chance to avenge his father’s death, young Johnny chooses, as his father taught him, to do the right thing and avoid violence. But the memories haunt him, and many years—and a world war—later, Johnny returns to his “older, dirtier and more decayed” hometown, under an assumed name, to finish the “game” Ray began. With the help of Andy and the love of a local girl, Anna Alberston, Johnny soon discovers that the limited time he and his father spent together was more valuable than the lifetimes most fathers and sons get. Hula’s tale is long on misery and short on humor, but it transcends its melancholy through honest observation and rich, evocative details of a bygone era: freshly baked bread, homemade root beer, storage cellars, spittoons. The author handles each scene with a delicate hand, establishing just the right atmosphere with steady brush strokes of detail. Along the way, he introduces a caravan of characters, including Danny, an 8-year-old boy who reminds Johnny of himself as a child, who instinctually makes the best of his decrepit environment. The most memorable character, Maggie—a thoroughly modern cashier at the company store—serves as the “town’s central news agency” and a selfless matchmaker. Because of her kindness, Johnny’s odyssey ends with love, justice and peace. An original, compelling hybrid of period novel, murder mystery and bildungsroman.